Cassandra (French: Cassandre), by Gaultier de Coste, Seigneur de La Calprenède, appeared in 10 volumes published from 1642-1645 or 1650 (there is some debate amongst scholars as to the actual date of completion). Herbet Winford Hill describes La Calprenède's work as full of exaggeration, as was typical of the historical romance novel, stating "the heroes are all more than gods, and goddesses pale before the scintillating beauty of the heroines" (45). Moreover, long detailed descriptions of the character's passions are used throughout the text. It is important to note that supernatural elements play an important role in the text as dreams and oracles are used to drive the plot. Interestingly, Hill describes the agency of the heroines in Cassandra as greater than that of Cleopatra, explaining that "with a shifting of the issue from the battlefield [in Cassanda] to the drawing-room [in Cleopatra], women take a less active part in Cleopatra than in the earlier romance" (21). Statira: Daughter of Darius, King of Persia. In Love with Oroondates but marries Alexander after he counqers her fathers kingdom. Perdiccas: Saves Statira from the execution ordered by Roxana. He meets up with Oroondates at the beginning of the narrative. Gauthier de Costes, seigneur de la Calprenède's Cassandra tells the "history" of the heroic Oroondates, the prince of Scythia, and his love, Statira, the daughter of the kind of Persia (Scythia's enemy). The main action of the romance takes place in Babylon, in the time of Alexander (Wells ). Oroondates sees Satira in for a brief moment during a battle between their two nations and falls in love with her. He disguises himself to enter the Persian camp and get close to Statira, befriending her brother Artaxerxes and eventually learning of her returned affection and exposing himself as Oroondates. Statira, who masquerades as Cassandra after Alexander conquers her father's kingdom (giving the work its title), is lead by Roxana (who is also in love with Oroondates) to believe Oroondates has been unfaithful. She marries Alexander and after his death, Statira is condemned to death by Roxana. Lysimachus, who is in love with Statira's sister, tells Oroondates that Statira (and her sister) are dead and Oroondates attempts to kill himself. However, he survives and with the help of a number of friends (Artaxerxes, Lysimachus, and Perdiccas) takes back the city of Babylon, where he discovers that Statira was not put to death, but rescued by Perdiccas and brought back to the city. The two are then finally able to be together. A number of similar sub plots, many of which also end in marriage, run through the main story of Oroondates and Statira, including the two longer histories of Lysimachus and Parisatis and Artaxerxes and Berenice. 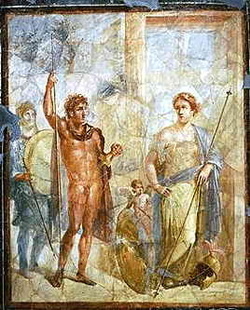 Lysimachus is serving under Alexander when he conquered Daruis's kingdom, and he sees and falls in love with Parisatis, Statira's sister, who is to be married to Hephestion. Lysimachus is condemed to death, to be eaten by a lion, because of his constant attempts to kill Hephestion. He kills the lion and eventually wins Parisatis after he joins Oroondates and takes back the city. Artaxerxes, King Darius's son, falls in love with Bernice, the Scythian King's daughter, after he is wounded and nursed to health by the enemy. He is captured by pirates, imprisoned by the King after saving his life, and eventually reunited with Bernice after Oroondates frees her from her abductor, Arsacomes. According to Benjamin Wells, La Calprenède described Cassandra as a "historical novel," however, he often interpreted or changed events without much regard for historical accuracy. 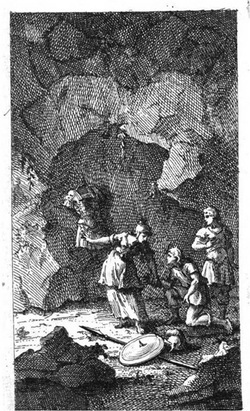 La Calprenède drew the account of the fight between Lysimachus and the lion from Justin, and the story of Darius's deaft by Alexander from Quintus Curtius. Wells describes that more so than with his other romance, La Calprenède was very focused on maintaining the historicity of Cassandra, "stress[ing] the point even so far as to enumerate and to defend his deviations from the story as he found it in Quintus Curtius and in Plutarch," the classical references for the text (441). You will have the patience I hope to read these few Lines I am obliged to add, that I may justify part of those things which I have written. I have been bound up in many Passages of this Conclusion by the truth of History, though perhaps I have altered it in some places, where it is least known. If I make Statira and her Sister live again contrary to the report of Plutarch [they were killed by Roxana in Plutarch's history], who says she was killed by Roxana's cruelty; I have followed the Opinion of many Historians, and I make her pass the rest of her life in countries very remote from those where she spent her younger years, and under a different [Cassandra] name from that by which she was known to Plutarch (236-237). This defense of changing history is important to consider when looking at how the heroine of Lennox's novel, Arabella, reads these works as true histories. See the Cassandra Textual References page to learn more about the use of this romance in Charlotte Lennox's novel.